When people think of online investing, they probably do not think about how to buy bonds online. The danger of investing in stocks inspires the imagination a little more than bonds, their much safer cousins. However, purchasing these financial instruments online is often cheaper than buying them elsewhere. First, you will have to open an online account with a broker who handles bond trading. They will typically require you to deposit $5,000 or more in order to get started. You can do this by mailing a check or making the deposit online. 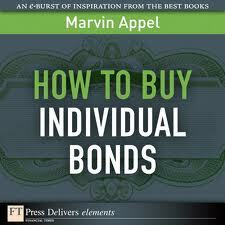 Then you will need to determine what kind of bond you want to buy. While stock trading sometimes involves split-second decisions and quick reactions, when you buy bonds online you engage in a much more relaxed activity. Spend some time making the right choice. Investigate yields and other aspects of bonds to ensure that you get the most out of your investment. High yields mean that you will make more money when you redeem the bonds. Third, determine how much you will pay your broker in commissions when you buy bonds online. This has an impact on your returns. Brokers often incorporate their commission into the price of the bonds. Finally, inform your broker which bond you want to buy. The transaction will take a short period of time while the broker determines that you have sufficient funds to make the purchase. After the brokerage does this, it will buy the bonds. You will usually receive some sort of notice in the mail as confirmation of the purchase several days later. Now you can sit back and enjoy the knowledge that your money is safely invested. Your money will not generate fantastic returns like some stocks might. However, when you buy bonds online, you guarantee a modest return with a safe investment.